Mary Friona-Celani, Emmy award winning journalist says, "If you've never heard of "Music with Mar," it's a national program that brings music and learning to kids." 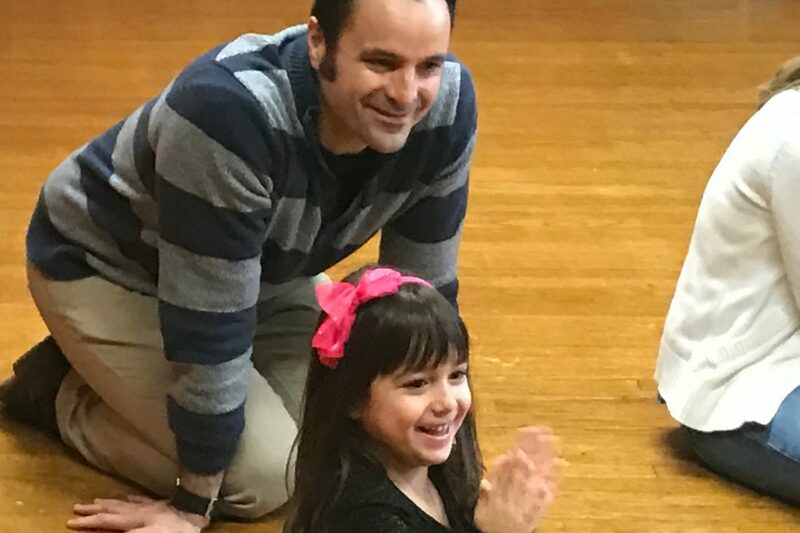 Emma loved every minute of the Music with Mar class and her musician daddy did, too. Classes are designed for children ages 6 months through 6 years to teach educational concepts through music. And it's a whole lot of fun, too. There are dozens of different classes around, taught by different teachers, but they all follow the same basic idea - use songs to help kids learn while they're having fun. We went to Ms. Bridget's Music with Mar class in East Aurora. It was pretty cool. The class is totally interactive. We were in an upstairs room of The First Presbyterian Church on Main Street. (Again, they are held at dozens of locations.) We started off with some bubbles and singing, which, Ms. Bridget said, works on visual tracking. The program includes plenty of traditional songs, like "The Farmer and the Dell" and "Peanut Butter and Jelly." There are also songs about parts of the body, one that teaches right and left, a few that focused on the alphabet, and a super-fun stop, slow and go song.